My son Francis will turn 1 year old tomorrow. 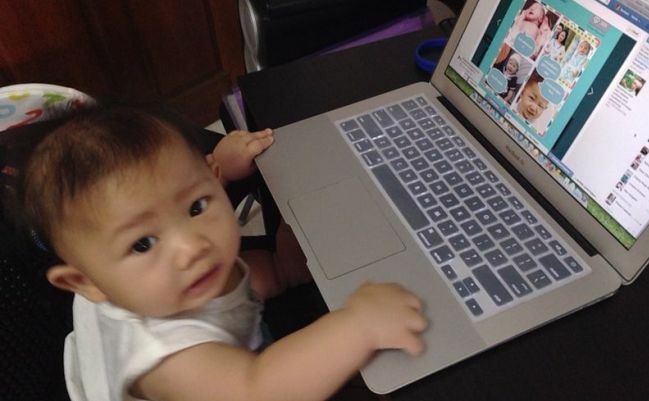 As parent, we want to raise him to be financially literate as early as possible. Since maliit pa sya, there’s not much we can do but just prepare everything for him to be financially wise paglaki nya. Here are some things that we did for the past year. Before he was born, we already opened a mutual fund account (FAMI SALEF) for him under my wife’s name. We put a lump sum amount on it, more than enough to cover his college expenses if the fund will only grow 15% annually for the next 18 years. During occasions such as baptismal, Christmas and birthday, he received some cash from ninong, ninang, family members and friends. Instead of using those money to buy things for him, we added those cash to his mutual fund account. I believe that it is our parent’s obligation to provide basic needs for our children, so money given by others for him should be added to his own fund. If hindi kailangan, hindi ko talaga bibilhin. Simple lang akong tao, I don’t go for brands. Basta maayos at pwede naman gamitin, doon ako lalo na kung makakamura. This is the same values that I want him to have. He started eating when he was 6 months. Instead of buying ready to eat baby food like Cerelac, my wife buy vegetables instead. Iba-iba like carrots, squash, potato, camote, brocolli and other vegetables available in the market. Niluluto lang nya ito until lumambot, then ginagamitan nya ng food blender to grind into small pieces. Kaya ngayon, walang pinipiling gulay si baby (except sa ampalaya). Kumakain sya kahit talbos ng kamote pa ang ipakain sa kanya. I believe this stage is crucial para hindi lumaking pihikan or mapili sa pagkain.